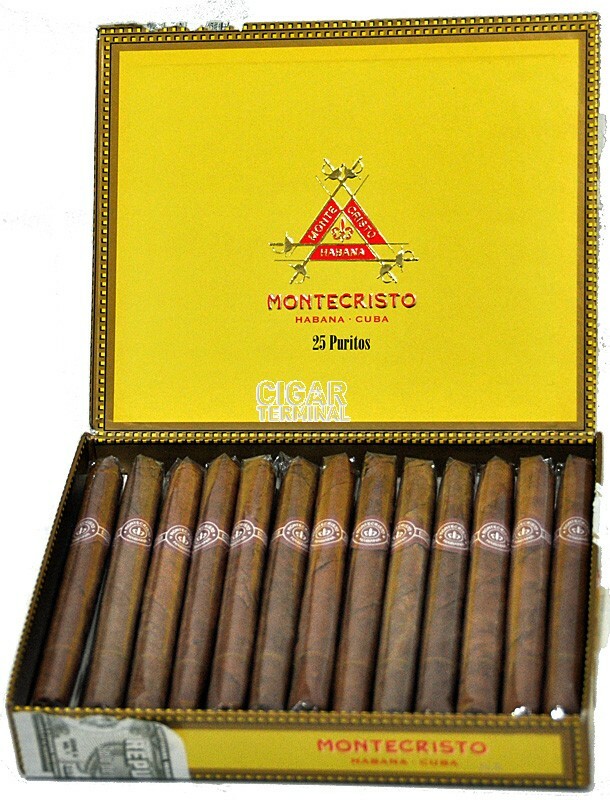 The Montecristo Puritos is a strong yet creamy machine-made cigarrito, 4.2” (109mm) long, of 27 ring gauge, and comes in a box of 25 cigars. • Ideal cigar for a quick smoke after breakfast. 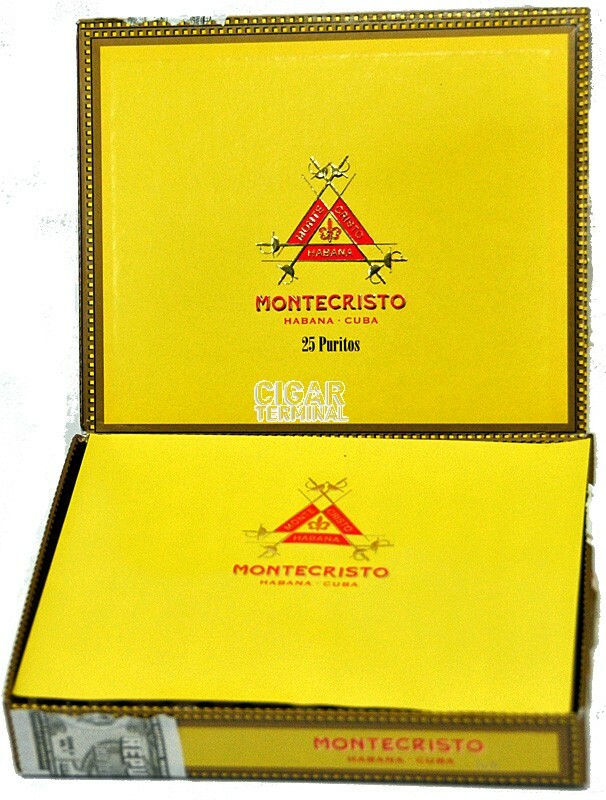 The Montecristo Purito is a small machine made in Cuba; each of them is individually wrapped in cellophane and is packaged with band. The wrapper is of dark brown color. 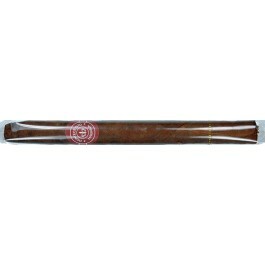 The cigar is pre-cut so no cutter is required for the Montecristo Purito. Wonderful smell exudes from the wrapper. The construction of the Purito is very good and the cigar burns perfectly. Like any good thin cigar, the draw has just the right amount of resistance. The first third has ample aromas of wood, exotic spice and of citrus zest. The Purito becomes stronger in the middle third, as tones of burnt wood come forward, along with some coffee beans. In the background, the freshness from citrus pleasantly remains. In the final third, the cigar releases lots of leather flavors and spices until the end. In summary, the Montecristo Purito is an ideal quick smoke, of very good quality and strong body that is perfect for a morning break. Just received and smoked today, this little cigar surprised me. Excellent flavor for a small cigar. Will order these again. Also excellent service. Fast shipping. Very nice short smoke with good flavors on the palate. This is a great smoke as well as a great price. I would recommend this cigar to anyone. Great for the price, and wonderful flavor. Espresso, earth, leather, spice, these are great little smokes, perfect 5-10 minutes when you've got ADD and it's cold out.